I'll be 48 this 2012th year. I was born in New York, raised in Los Angeles, and have lived in 8 of our United States. With 8 cross country road trips under my belt, I've passed through and or vacationed in 32 of our states. 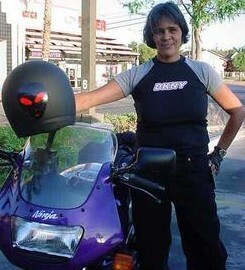 Having settled at the beach in FL, I enjoy writing, drives along the ocean, photography, motorcycle riding and writing. I have been a GH & OLTL fan since 1978 and look forward to keeping you updated on happenings for my beloved daytime shows. Tess no longer works for our site. We're grateful for her past help!